Are you searching for the largest dinosaur in the world? 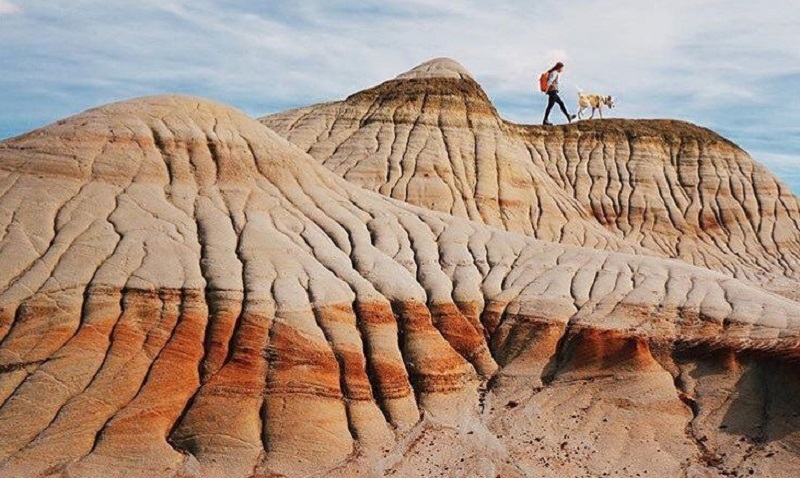 Look no further than Drumheller, Canada. Although this location is pretty far off the beaten path, many visitors love coming to Druheller to get away from the crowds and take in some beautiful scenery. Before we get into camping in Drumheller, we wanted to quickly talk about Dinosaur Provincial Park. 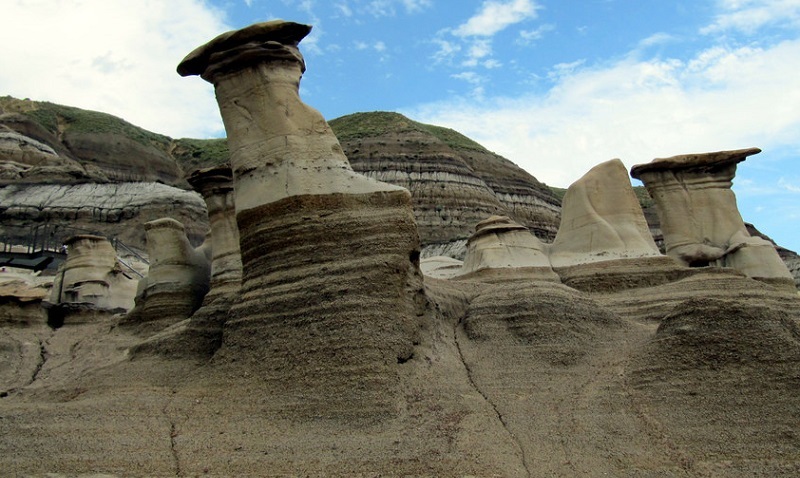 Located in the Badlands, this is one of the more popular attractions in Alberta. Not only does it boat the worlds largest dinosaur (a t-rex), but it also has guided day tours through their quarry to see historic fossils. It is completely interactive and you may even catch some excavations an the discovery of a new dinosaur. 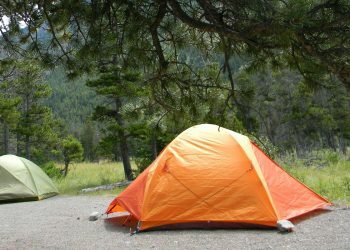 There are several great campsites to stay at in between your adventures. Most come with your standard fire pits and picnic areas, but few are very close to recreational areas such as hiking and fishing. The campsites come equipped with gas barbeques, so we decided that tonight would be a perfect night for a couple of steaks. Beef is amazing and affordable in Alberta so I bought the most expensive cuts I could find at $7 a piece. Not bad! Close to several great hiking trails that take you through some scenic overlooks. 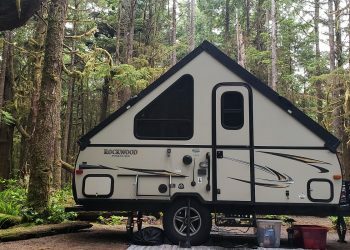 This camping site is for people who want to park their RV for the night or weekend. It is a full service park with electrical hookups and some nice hiking trails around the area. This RV Park is nestled on Rosebud River giving several camping areas right on the water. RV campers love this spot for pulling out their kayak or fishing along the banks. We don’t have much information on this campground, but we do know it’s located right on the Red Deer River and has some great wilderness areas to explore. This is one of the larger camping sites in Alberta. 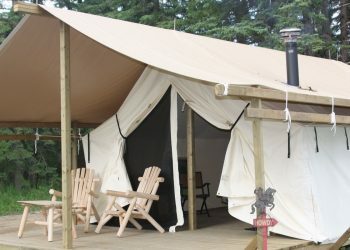 We also don’t know too much about this camp spot other than they have live music venues in the summer months. 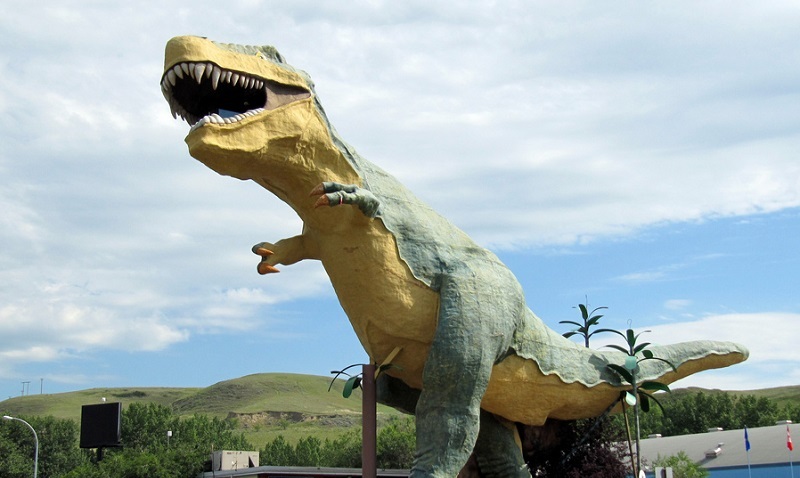 Right next to the largest T-Rex, this is one of the most popular campgrounds due to location.